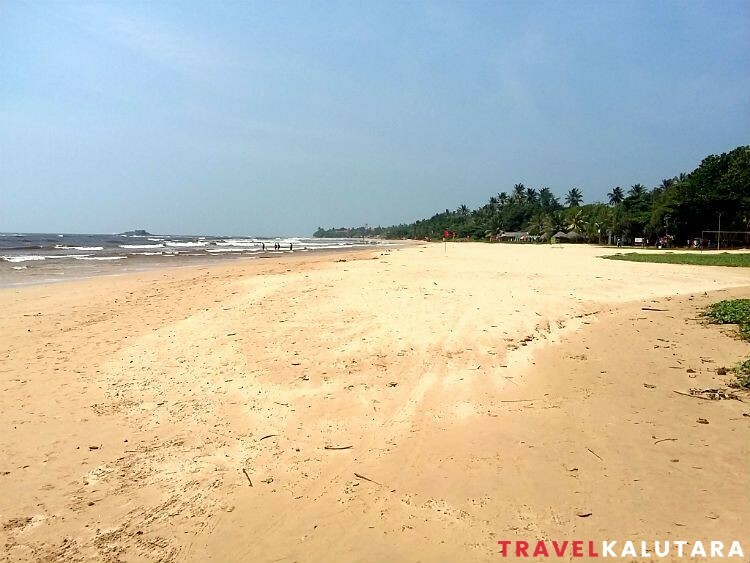 As one venture southwards along Sri Lanka’s western coast, some of the island’s most beautiful beaches would begin to reveal themselves; one such secluded place is Moragalla Beach near Beruwala, Kalutara District. 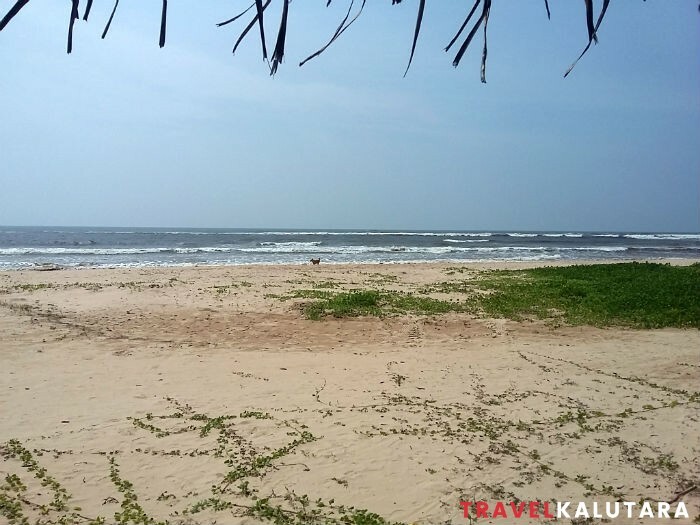 Situated in between the crowded Bentota beach and the Beruwala beach, Moragalla beach is a haven for beachgoers who seek a secluded beach holiday in Sri Lanka. The wide beach of Moragalla. Not much crowded even on a Saturday. Bentara River joins the Indian ocean at this location. Did you notice the windsurfer? 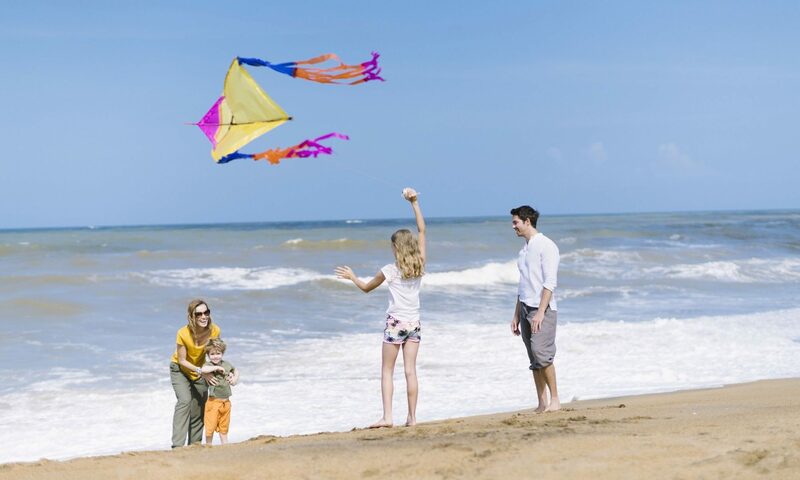 This wide almost white sand beach is located just 16 Km to the south from Kalutara, 04 Km south of Beruwala and 03 Km north to Aluthgama. 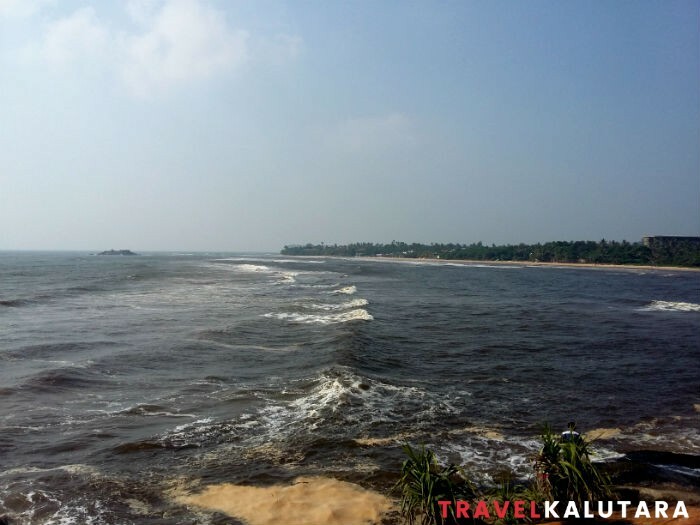 The southernmost section of the beach is right near the estuary of Bentota river. 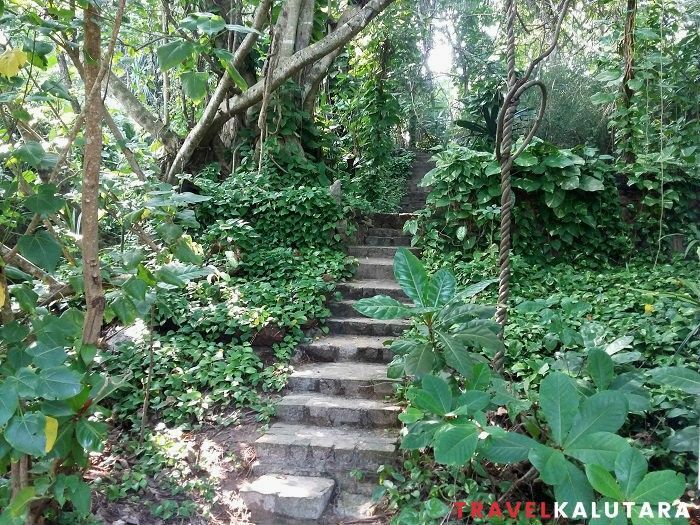 To reach the beach from Kalutara, drive past Beruwala through the Galle road until you reach a small town called Hettimulla. Go past this town southwards about 01 km you’ll come across a small temple called Sri Buddhasiri Maha Viharaya to the right. Just past this temple there are numbered lanes to the right (7th,6th, and 4th). Turning right into 4th Lane which will lead you directly to the beach. Other lanes lead to various resorts in the area. Due to the coral reef in front of the beach, the water is pretty shallow. You can arrange snorkeling, diving, wind-surfing activities by consulting your hotel. Morning is most suitable for these activities because water level will rise up in the evening. But watch for any red flags on the beach. Bentara River is a water-sports haven. Did you know? 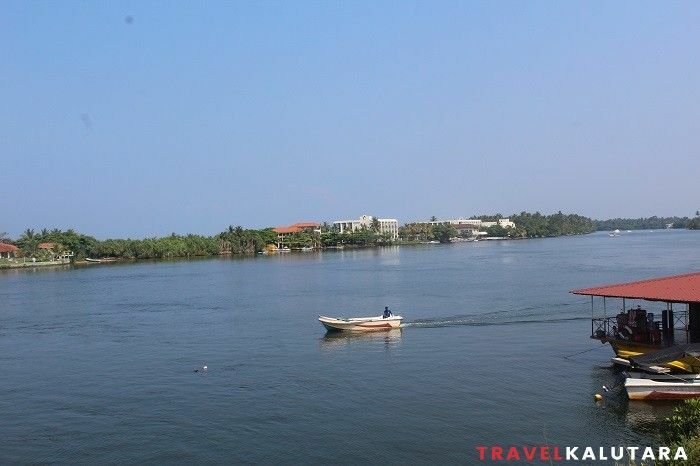 Bentara river, also called Bentota River, is a significant one considering its position. It divides Kalutara and Galle district as well as Western Province and Southern Province of Sri Lanka. The river is lined with mangrove trees and provides a perfect opportunity to for a boat trip. 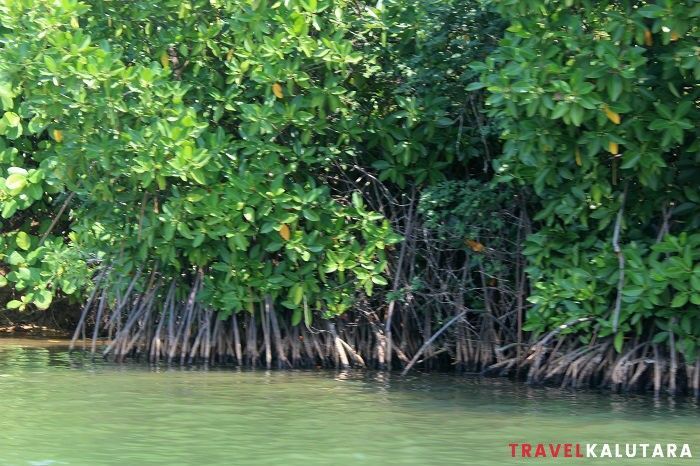 It is said that there 23 different types of Mangroves to be found here. There are several islands on the river for you to explore too. 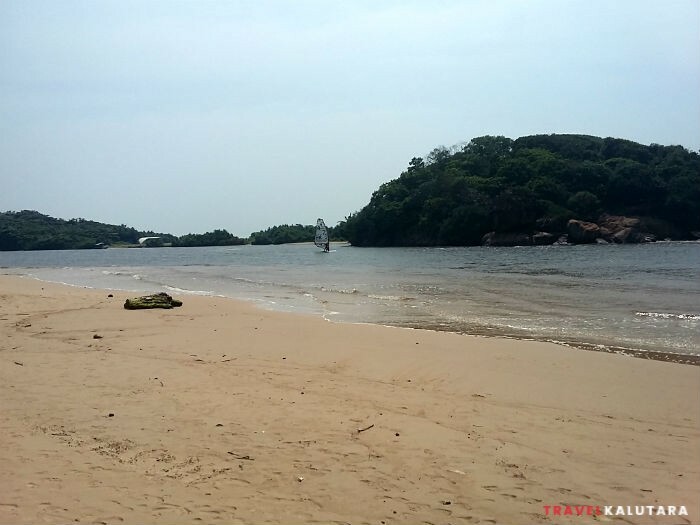 Fact: Bentota river originates from Hekok Mountain in Hiniduma region and traverses about 71 Km before joining the Indian ocean near Moragalla beach. Looks like an Island but It is not. Also called “Panchakapa” in Buddhist literature. 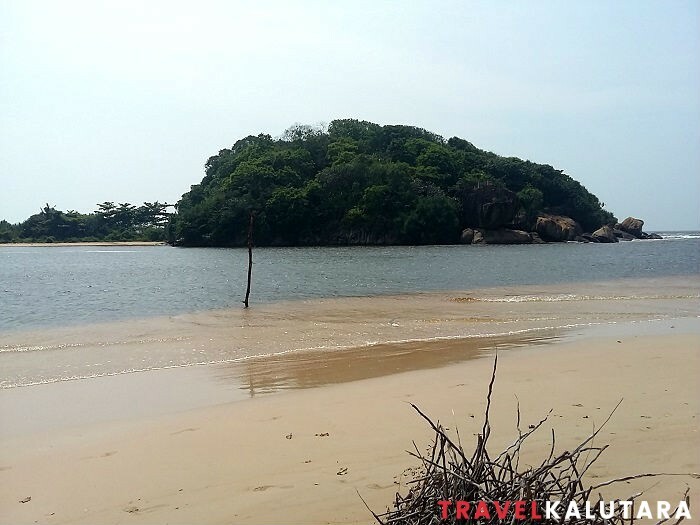 Right in front of the beach, there is a small hill which seems like an island but actually, it is the tip of the panhandle that forms the Bentota beach. There is a small temple on top of the hill covered in thick woods. To visit this temple you can hire a boat off the beach. Or if you happened to be in Bentota beach, walking continuously northwards will get you to the area. Towards the tranquility. The thick growth of flora reminds you of a rainforest. Getting to the top is an easy climb.The small temple doesn’t have much going on but it is situated in such a tranquil environment which is perfect for meditation. In fact, It is part of a Yoga ashram called “Moragalla Dharmadheevpa”. It is said that this island used to be connected to the Island before the 2004 Tsunami but subsequently got diverged. Climbing the cement stairs will take you to the center of the temple. Turn left and follow the path past the shrine room. This path will lead you to the edge of the rocky cliff. Such a perfect place for admiring glorious sunsets. Morgalla beach, seen from the cliff.